When you get to experience a James Gordon and Sons concert, you get much more than just a ‘family band’, you get a fascinating hybrid of musical influences that makes for a unique and enjoyable evening. Evan and Geordie Gordon grew up playing along with their dad and his “Canadian Roots Music,” and they can be heard on most of his albums over the last 15 years. Often hired as a team since they play so many instruments, they tend to “rock James up” a bit and James tends to “Folkify them” when they are helping him with his material, so the result is always entertaining. It is getting to be too rare an opportunity to hear the three Gordons play together. Geordie and Evan are so busy with their own projects that have them touring throughout North America and Europe that their poor dad doesn’t get to entice them out onto the road as much. It’s for this reason that Horizon Stage is excited to be presenting James Gordon and Sons on Friday, February 2 at 7:30 p.m.
James’ most recent album on Borealis records “Sunny Jim” was produced by Evan and it reached #2 on the Canadian Roots Music Charts. The “boys” will be performing works from this project in their upcoming shows, and exploring the remarkable 40-album James Gordon back-catalogue of songs dealing with the Canadian landscape, heritage and identity, along with his popular works dealing with social justice and environmental issues, and they’ll dip into his collection of just plain silly songs from Gordon’s years as songwriter-in-residence on CBC’s “Basic Black” radio show. As a songwriter, James is known for such diverse songs as “Harvest Train”, "Sweaters for Penguins" and "Frobisher Bay", which has been recorded by more than 100 different artists worldwide, and has become a standard for choirs everywhere. Other artists including Cowboy Junkies, Melanie Doane, Al Simmons, and James Keelaghan have covered James’ songs. 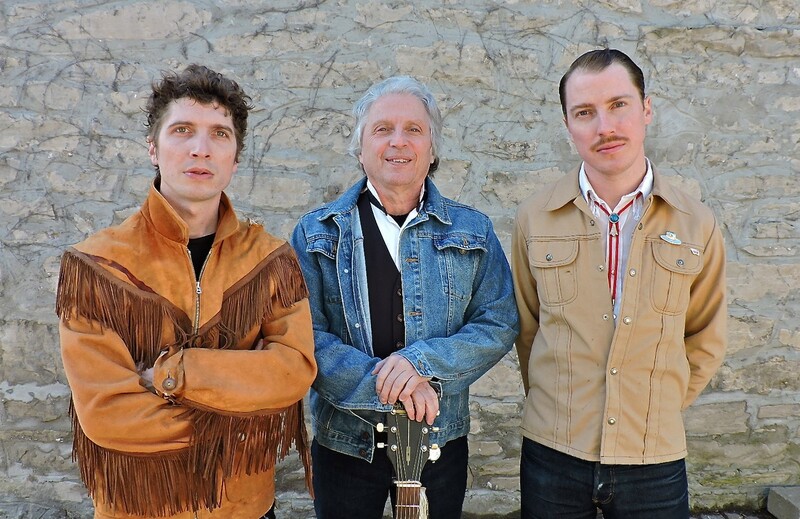 If you’re a “folkie”, a “rootsie”, or even a “rockie” you don’t want to miss this a one-of-a-kind, hard to come by, sure to be entertaining, concert by James Gordon and Sons at Horizon Stage on Friday, February 2 at 7:30 p.m. Tickets are $35 for Adults and $30 for Students and Seniors and may be purchased at the City Hall Ticket Centre (315 Jespersen Ave), by phone at 780-962-8995 or 1-888-655-9090, and online at ticketpro.ca.